Car service, Van service or general vehicle repair: Here at A&D, we maintain all types of vehicles. When it comes to diagnostics, we strive to keep our customers in the loop. Using the latest technology and diagnostic tools, we will get to the bottom of any problems you may be having swiftly and efficiently. As well as being Bosch diagnostic specialists, we have the latest Land Rover Main Dealer diagnostic tool for Land Rovers. So, if you own a diesel vehicle we can help repair and maintain it, maximising fuel economy and saving you time and money. Courtesy cars and vans are available subject to availability. From oil changes to main dealer schedule A&D Autos covers the lot. 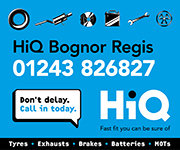 Rest assured, your car, van or motorhome is in safe hands. Our four-wheel alignment service will reduce your vehicle running costs, minimise tyre wear, cut fuel consumption and improve the safety and handling of your vehicle.